In July, 39 people were killed and 6,600 left homeless after a big hydropower dam collapsed in Laos. 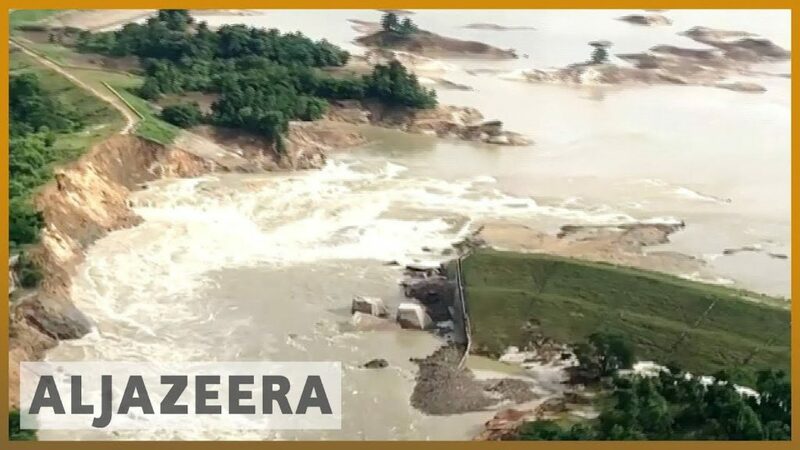 Like a herd of wild bulls, raging floodwaters stampeded across a highland plateau in July and tore a hole in the mammoth Xi-Pian Xe-Namnoy hydropower complex dam in south central Laos. The boiling torrent crashed downstream from the nearly completed $1 billion dam, drowning 39 people identified so far, leaving over 100 more missing, and forcing more than 6,600 people out of their homes and into temporary government housing. 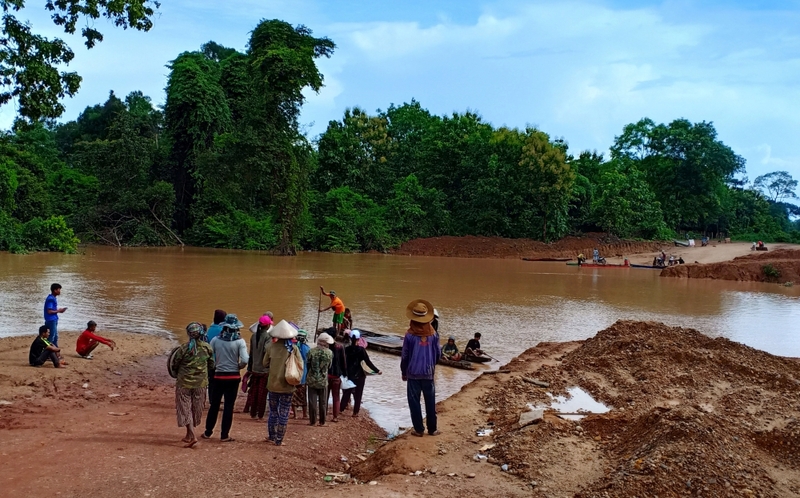 Little more than a month later, on August 29, floodwaters caused an irrigation dam to burst at Swar creek in central Myanmar, flooding 85 villages.Two people are missing. The two catastrophes, both connected to the increasing ferocity of drenching storms in Southeast Asia, are an epochal moment of reckoning for the financiers, builders and managers of big dams, especially the mammoth hydropower dams that n nations are so intent on building despite the vivid and mounting risks. Mega dam developers are being challenged by fierce ecological havoc, as well as climbing costs, civic resistance, and engineering lapses. The result is that dams around the world are failing at a rate never seen before.In Southeast Asia alone three big dams have failed in the last year. A second hydropower dam failed in northern Laos in September 2017. The deadly collapse in Laos is a case in point. Until the Xi-Pian Xe-Namnoy disaster, Laotian leaders viewed mega hydro dam construction as a safe path to strengthening their treasury. The tiny landlocked nation of 7.1 million people set out to encourage domestic and international financiers and contractors to build over 100 big hydropower projects to sell electricity to its fast-growing Southeast Asia neighbors and to serve its own rising power demands. According to the Laotian government, two thirds of the country’s hydropower is exported, which accounts for almost a third of its export revenue. In late August, an irrigation dam collapsed in Myanmar and flooded 85 villages. 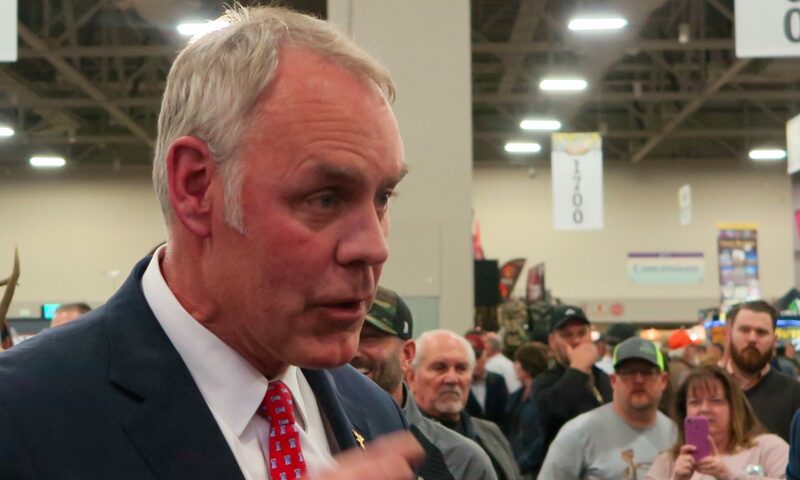 SALT LAKE CITY — January was supposed to be a great month for Interior Secretary Ryan Keith Zinke, the tall, cowboy-fit, decorated SEAL warrior dispatched by the White House to battle the “elites” and elevate resource development to the primary goal of the world’s largest conservation agency. Guided by his personal hero, Teddy Roosevelt, who once said “conservation means development as much as it does protection,” Zinke opened the year with the most ambitious federal plan ever to explore for oil and gas off nearly every mile of U.S. coastline. Ten months in the making, the drilling scheme was the latest of the administration’s coordinated steps to sweep away decades of environmental impediments and unleash the fossil energy reserves stored beneath much of the 1.7 billion acres of ocean bottom and at least half of the 500 million acres of surface land overseen by the 168-year-old department. But five days later, like the unpredictable president he serves, Zinke disrupted the show. During a trip to meet with Rick Scott, the Florida Republican governor and likely Senate candidate, Zinke announced he was excusing the offshore waters of the Sunshine State from participation. The drilling waiver, which shocked his own staff, ignited an impassioned political backlash led by Republican coastal state governors, Congress members, and state lawmakers. It also put the entire plan in grave legal peril because at the very least the federal Administrative Procedure Act requires a substantive and rational basis for making new policy. It is not clear why Zinke apparently set out on his own to alter the Trump administration’s marquee energy development plan. Heather Swift, Zinke’s spokesperson, declined repeated requests to interview the secretary or members of his senior staff. 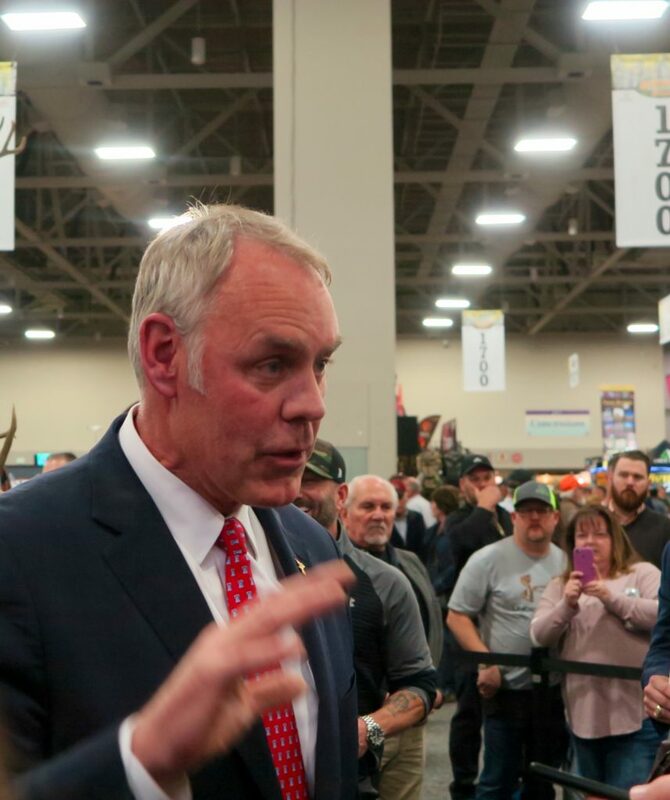 “The secretary is unavailable,” she said during Zinke’s appearance at a hunter and sportsmen expo in Salt Lake City. Whatever the cause, Zinke’s change of heart about Florida raised eyebrows across official Washington. “It was different, to be sure,” said Idaho Republican Representative Mike Simpson. ELKO, NEV. – From this rest stop desert city midway between Salt Lake City and Reno the snow peaks of the Ruby Mountains are like finely crafted wainscoting in an elegant ballroom. The slopes rise sharply to form triangles in the sky. In 1989, Congress approved permanently safeguarding 92,650 wooded acres along the ridge lines from any intrusions in the Ruby Mountain Wilderness. 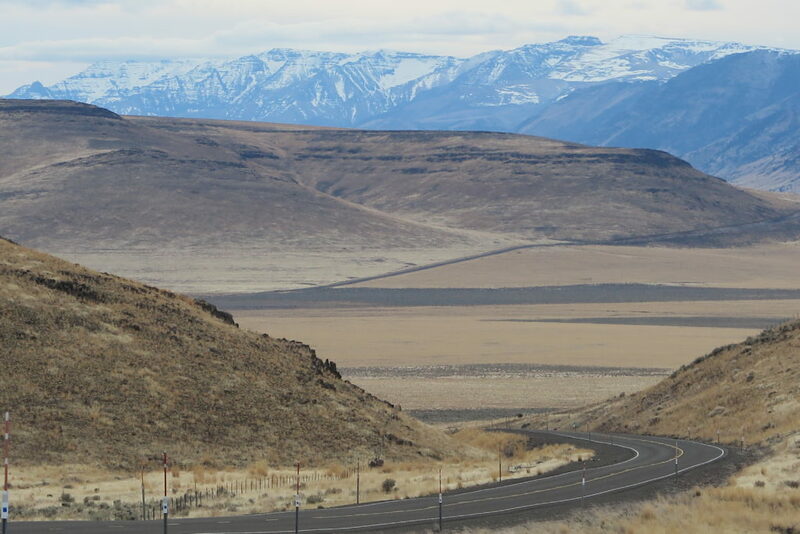 The big flat sagebrush valley that runs up to the base of the mountains’ western flank is open range for grazing, and hunting ground for golden eagles. The watery meadows on the eastern flank are nesting sites for migrating birds. Since 1938, 37,632 acres of it have been protected as the Ruby Lake National Wildlife Refuge. Elko is an intriguing place. It’s the biggest city in the nation’s sixth largest county and has a nationally-recognized cowboy poetry festival every winter. 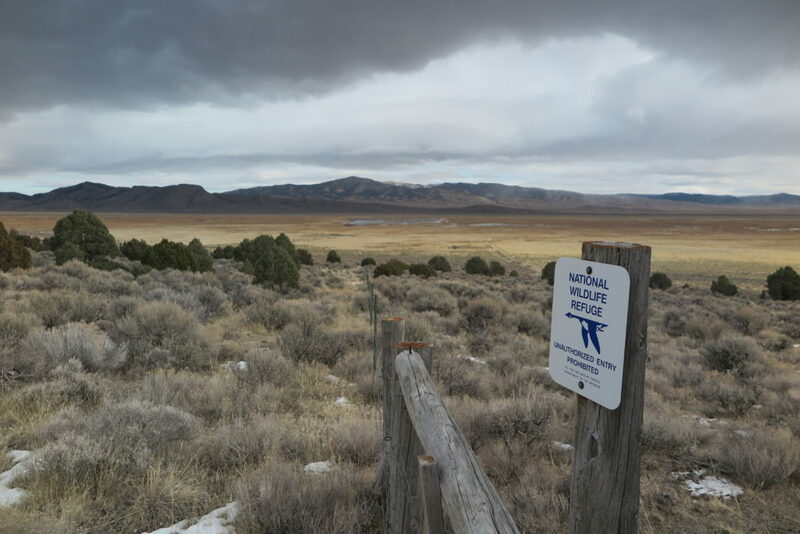 Elko also has understood since its founding as a railroad stop in 1869 the economic value of extracting resources from the land and conserving the natural geography. The county is home to one of the largest gold mining sectors in the United States. 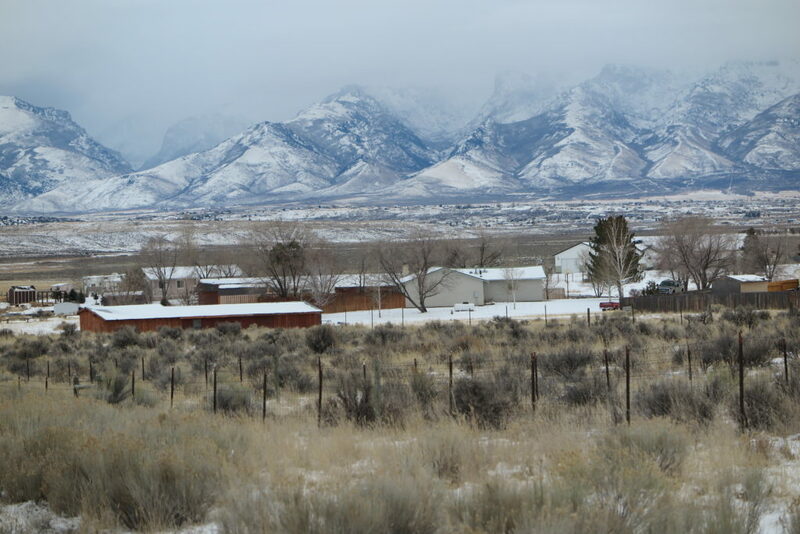 Elko County, where about 50,000 people live, was hardly scratched in the 2008 to 2012 Great Recession because Americans got so freaked out that the price of gold climbed to $2,000 an ounce. 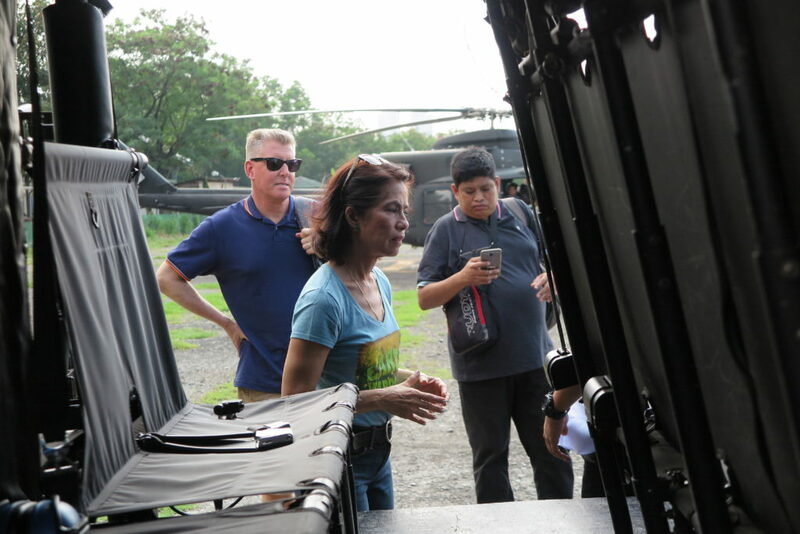 A week after I arrived in the Philippines in late April, Gina Lopez invited me to lunch at her home in Quezon City, the center of government. Lopez was engaged in a national campaign to preserve her post as the Philippine secretary of the environment. Her 10-month tenure had yielded shutdown and suspension orders against 26 of the country’s 41 big hard rock mines. Lopez formed and promoted an interagency law enforcement campaign to impede the flow of timber logged illegally. She’d advocated renewable energy in a nation adopting a misguided program of coal-fired power plant construction in the midst of a less damaging and less expensive global renewable energy revolution. In response, a Philippine legislative committee, acting at the behest of the mining industry, was preparing to remove her from office. It was plainly apparent, though, that the orders she’d signed, and the way she’d galvanized grassroots activists, would not be so easily cleared away. Lopez looked to me to be part of a welcome trend. Several more enlightened government officials have emerged in Asia. Piyush Goyal, India’s energy minister, is pivoting the world’s second largest country, to renewable energy. 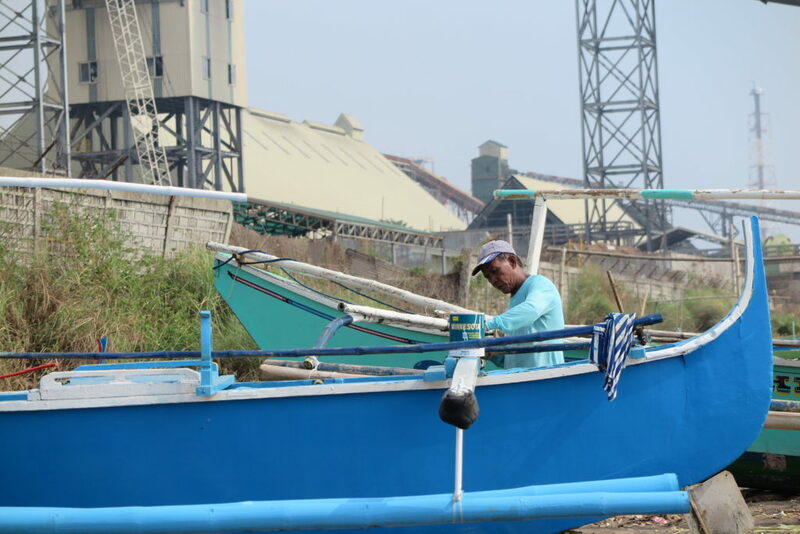 Indonesia’s Minister of Maritime Affairs and Fisheries, Susi Pudjiastuti, is seizing and sinking foreign trawlers fishing illegally off the country’s coast. We talked as Lopez showed me around her home and gardens, which laid out on multiple levels accessible by wood and stone stairways. I told Lopez that I’d been writing about her since last summer. I was convinced her powerful advocacy for environmental enforcement and human rights was a signal of global transition. While the U.S. retreated on ecological safeguards Asia was tilting green in a way it never had before. China was cancelling coal-fired power plants. 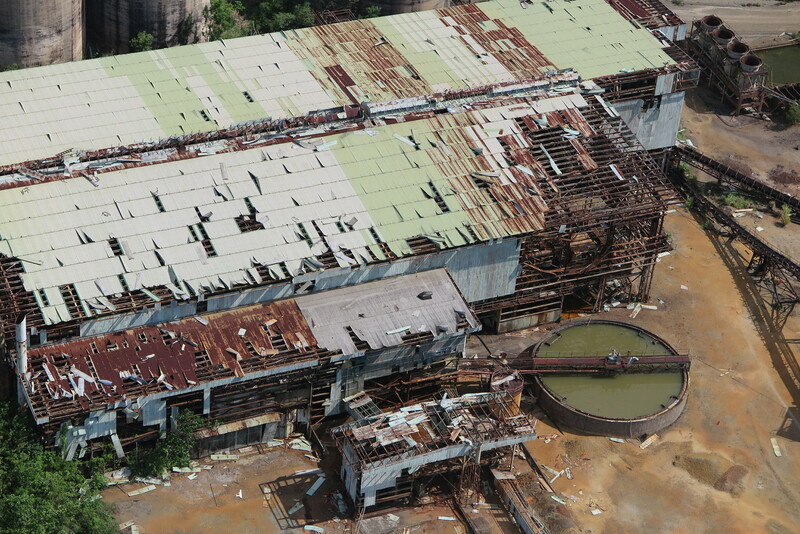 Vietnam cancelled a $12 billion steel plant because of pollution concerns. The Philippines had installed an eco-activist, a determined woman, to fulfill President Rodrigo Duterte’s campaign pledge to rein in the Philippine mining industry. Lopez is the daughter of a very wealthy and influential Filipino family that owns ABS-CBN, the country’s largest media and communications company. She’d attracted Duterte’s attention while working as the leader of the ABS-CBN foundation and taking on open-pit mining as one of her primary projects. An adventurer her entire life, Lopez’s airy home was filled with art and sculpture from various continents. Birds sang in the garden. Roosters crowed. Flower scents drifted through the open air kitchen and dining areas on several levels. Lopez introduced me to her youngest of two sons who was returning to college. She introduced me to the woman who’d made her meals for years and the gardener who tended the tropical landscaping. She treated me like a friend she’d known for decades. I knew this was genuine because it was the same way she’d interacted with every other person she dealt with in the week I’d been around her. Because of her strong views, courageous in a nation that regularly experiences assassinations of environmental activists, Lopez was lionized by millions of Filipinos. She made it a point to tour mine sites and hold public events, which attracted hundreds of Filipinos. Her communications operation was strong, especially her Facebook page that had 400,000 followers. By the time I met her Lopez had become something of a Filipino folk hero. 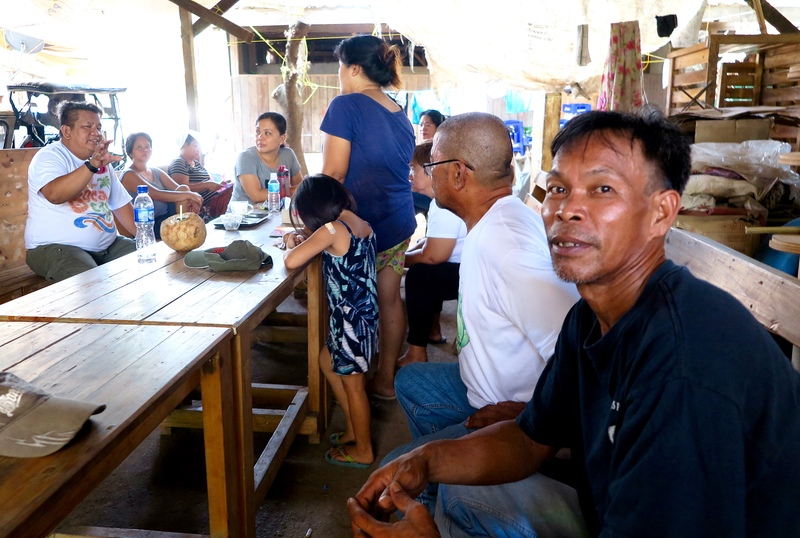 MANILA — Valentino de Guzman, the energy campaigner for the Philippine Movement for Climate Justice, guided me to Mariveles to interview leaders of Limay Concerned Citizens. Guzman, a well-educated activist, once taught college level math before joining the Philippine climate justice movement. The citizens group on the Bataan Peninsula, across Manila Bay from the capital region, has been protesting the air pollution and disruption to their groundwater reserves caused by SMC Consolidated Power Corporation. 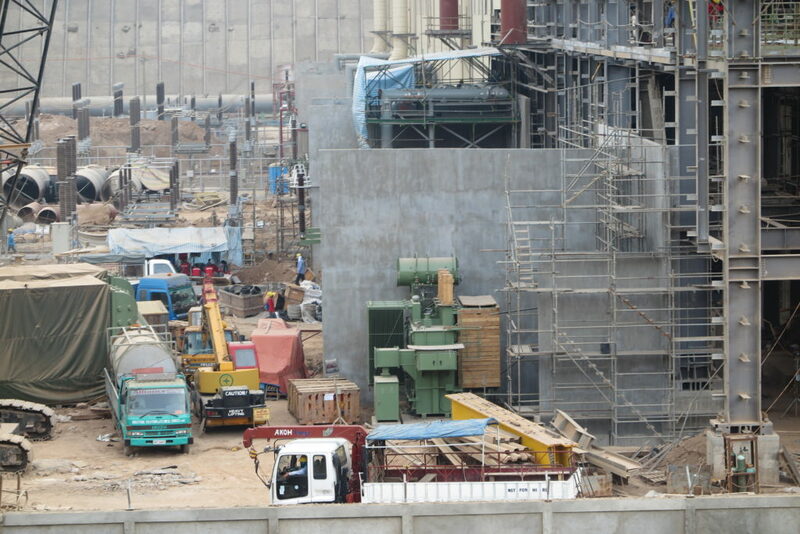 The company’s 600-megawatt coal-fired power station is under construction along the Manila Bay shoreline in the community’s backyard. On the way to Limay — a village of packed dirt, shade trees, and clustered homes — Guzman briefed me on the situation that the Philippines and much of the rest of southeast Asia faces. 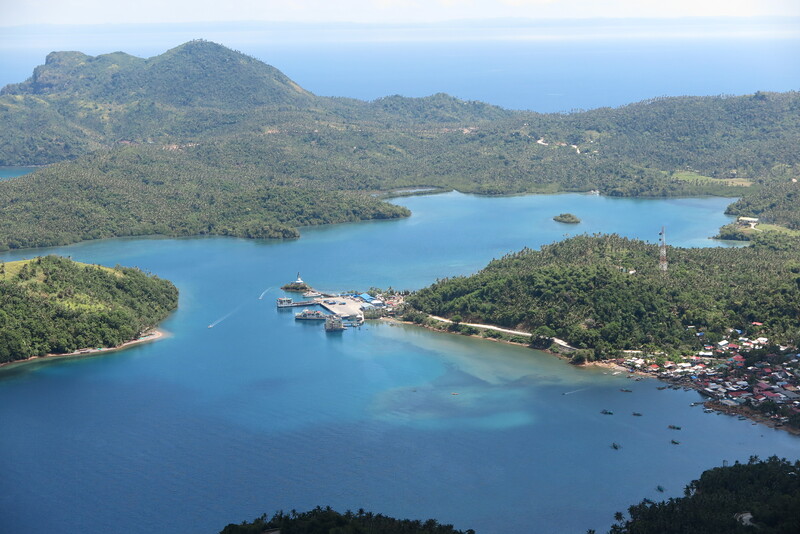 Government campaigns to build coal-fired power plants, and import most of the fuel from Indonesia, are running straight into the global energy revolution. Solar powered electrical generation is cheaper, easier to build, and prompting far less social resistance than coal-fired electricity. India is shifting to renewables. So are China, the United States (despite the Trump administration), and Europe. For the time being, though, coal has the upper hand in the Philippines, and in Indonesia and Vietnam. Guzman said 26 coal-fired plants are operating in the Philippines and produce almost half of the country’s electricity. Thirteen more are under construction and 36 coal-fired plants are in the pipeline. In some communities, Guzman said, public resistance is so keen that the plants are not likely to be finished. In other instances, companies and the government are reappraising the cost of building coal-fired plants relative to solar, which currently accounts for scant generating capacity in the Philippines. Environmental resistance is dangerous. More Philippine environmental activists have been murdered over the last decade than in almost any other country, according to Global Witness, a London group that compiles an annual report. The situation in Limay is emblematic of most of the frontline struggles. The ten men and women waiting for me around a big communal table in the shade of a pitched roof described their frustration with the new power plant. Fly ash from preliminary operations contaminated the soil, and their gardens were no longer were productive. People were coming down with strange skin ailments. Some neighbors had respiratory illnesses. One of the leaders of the anti-coal movement on the Bataan Peninsula was Gloria Capitan, president of United Citizens of Lucanin Association, a community that has been peacefully opposing the operation and expansion of coal plants and open coal and ash storage facilities in the Mariveles region. Auntie Gloria, as she was known, had focused her work on a big ash storage pile on a coal loading dock along the shoreline in her community. Ash from the pile was causing respiratory difficulties and dirtying the homes of nearby residents. Capitan was gunned down on July 1, 2016 by two men on a motorcycle. The murder occurred at Capitan’s roadside store and bar near Mariveles. Capitan’s eight-year-old grandson was grazed by a bullet. Like so many other killings of activists around the world, the police have no suspects. The Philippine and local governments had paid some heed to the resistance. The coal ash pile that Gloria Capitan opposed was enclosed in an immense metal building soon after her murder. Not far away, due to activism from Limay Concerned Citizens, their village’s water supply was switched from groundwater to municipal water. In December 2016 and January 2017, the Department of Environment and Natural Resources, then led by activist Gina Lopez, served SMC with notices of violation for haphazard fly ash management and for air pollution. SMC said it would send doctors to Limay and would stop dumping ash. The doctors never showed up, said the citizens group, but the ash dumping did stop.